Seacoast Bank announces Passcode Access for Personal Mobile Banking. This feature allows customers quick access to key mobile banking functions through the use of a customer defined 4 digit sign on code. Quick and easy access to key account information from your mobile device. A better experience for your inquires about accounts, balances, and activity. Our customers who have the Seacoast Personal Mobile Banking App on a smartphone will be presented with the option to set up a passcode after logging in. Passcode is not currently available for Business Mobile Banking, iPads or Tablets. Stay tuned for these additions to be announced! To view account information such as balances and transaction history, customers previously had to login to mobile banking via a User ID and Password. 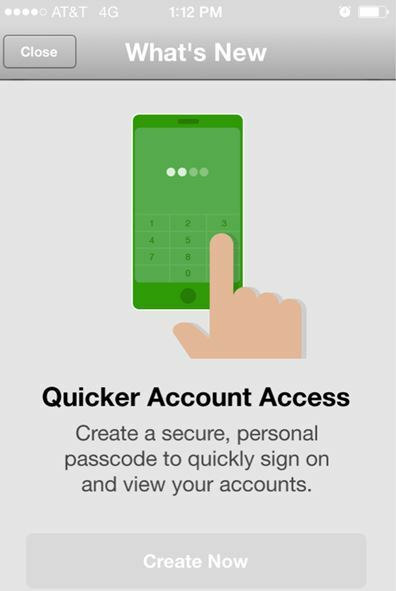 Now, with Passcode Access, Personal Mobile Banking Customers will be to able to quickly access the app by simply keying in a 4 digit code. To move money or make a deposit, you will still need to fully authenticate yourself by logging in via a User ID and Password. If you login using your Passcode and then decide you would like to move money or make a deposit, the app will automatically prompt you to fully authenticate. Please contact our Local, FL Telephone Banking Center (866.710.5778) if you have questions or need assistance with this new feature.